Barat Ali Batoor is a photographer, born into a family driven out of Afghanistan during civil war when most of his relatives were massacred. He returned to his ancestral country for the first time after September 11, 2001, when the Taliban regime was still in Kandahar despite the U.S. campaign to oust them. After visiting the devastation and destruction of 23 years of war, he decided to work for his country and draw the world’s attention to the plight of the Afghan people, choosing photography as his medium of expression. Batoor began taking photos in 2002 and launched his first solo exhibition in 2007. His photographs have been exhibited in Denmark, Dubai, Australia, Pakistan, Italy, Japan and Afghanistan. 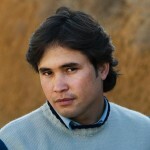 His work has been published in The Washington Post, Newsweek, Wall Street Journal, Stern, India Today, Outlook Afghanistan, Afghanistan Times, among others. He received a photography grant from New York’s Open Society Institute for his project ‘Child Trafficking in Afghanistan/The Dancing Boys of Afghanistan”. He also won the Nikon-Walkley photo of the year in 2013.